Suspension with Adaptive Damping Adjustment on 2019 G550? Is the $1400 "Suspension with Adaptive Damping Adjustment" worth it? Will I feel a difference with daily road driving if I don't have this option? I forgot to add it to my 2019 G550 order that's being built in December. My salesperson told me if I try to add it now, it will delay my build. In my opinion it is definitely worth it. In fact, I wouldn't order one without it. I ordered a 2019 G550 last week, with an estimated build date of Jan/Feb 2019. I also have the same question as "pdeacon" has to whether I should do a change order to add this same feature. My salesman was unsure what it even is at the time he placed my order, but he said I can add it anytime prior to my scheduled build date being received by my dealership, which he said should be about late November 2018 without causing any delay in my order. So, may I kindly ask: What is this option? I believe the G550 has several driver settable modes (Comfort, Economy, Sport, etc. ), but I have no idea what the "Suspension with Adaptive Damping Adjustment," Option A20, is, or what it even does, how it is activated/selected by the driver,etc. Is anyone familiar with Option A20, and if so, would be so kind to please give me a brief explanation? I don't mind spending another $1400, but I'd sure like to know what A20 is/what it does, etc. My salesman thought it was a driving mode only meant for very, very extreme off road use, and unless I actually plan to climb up/down some phenomenal grades, it would be entirely useless/unnecessary for me. I'd sure like to know. The adaptive air suspension adjusts automatically to changing road conditions and smooths out the ride. I have it on my E Class and have experienced it on previously owned S Class vehicles. It also has the ability to manually raise the suspension by a couple of inches to avoid scraping the front spoiler on sharp inclines. I'm not sure that feature is important in a G Wagon. OK, thanks very much, pdeacon! IMHO. It's only important to MB, as to their repair bill when it goes south, as high as 10K. I have had with and without, did not order it on my 2019. On the G class, it does not include adjustable air suspension. It only adjusts the shock absorber dampening. It will make the suspension firmer or softer. It will not raise or lower the vehicle. As to whether it is worth it, one would have to drive them back to back. It may be nice if you want to change the firmness or want to have "better" handling. On the current G550, the stock suspension was great, considering the suspension design and useage. I agree, SF. I also didn't think the g-wagon had air suspension, nor could it adjust its ride height. I think my dealer is probably correct that option A20 is probably a waste of $. However, in spite of this, I decided to do a change order this afternoon and add it in. This way, if it is even slightly advantageous to have A20 in some situations, what the heck, I will have it. In relation to the total cost of the vehicle, relatively speaking $1400 is not a lot of money. 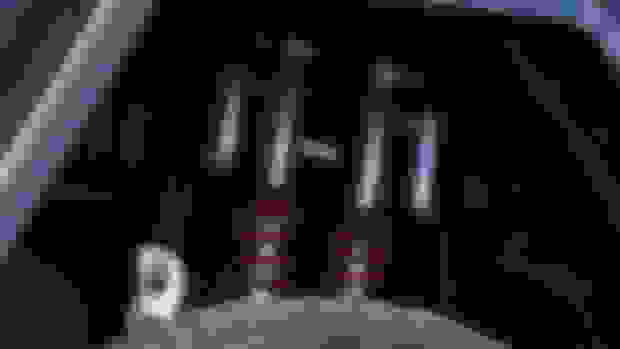 From what I was able to find out about it subsequent to my post, I believe A20 will work in conjunction with the system's ESP, and in a pinch, such as a high speed maneuver on a bad piece of the road, maybe it will make the difference between negotiating that high speed corner successfully, versus not. Even if this is the case even just one time, it would be worth it the $1400. So, I said WTH, and told my salesman today to go ahead and add A20 to my order. FYI, here's what Mercedes says about A20:Electronically adjustable shock absorbers can vary their damping rate not only at the touch of a button, but automatically in critical driving situations. By switching from Comfort to Sport mode, the driver can firm up the handling characteristics of the suspension. During highly dynamic movements, the vehicle's Electronic Stability Program (ESP®) can instantly adjust the settings automatically, working strategically with ESP's throttle and brake intervention to enhance stability. Forgot to add this pic to my last post on this subject. Not relevant because the G Wagon does not have an air suspension system! E Class and S Class have air suspension, so this is irrelevant to the G Glass. 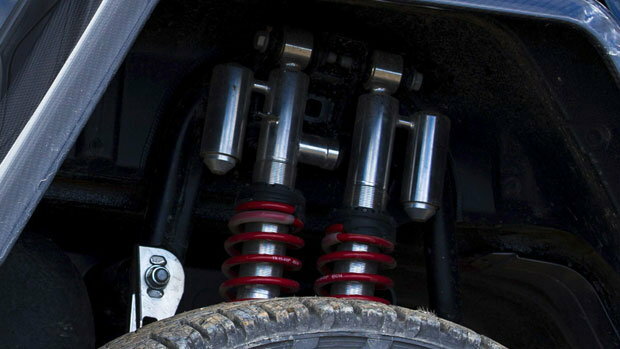 Car & Driver and other reviews have said the G adjustable suspension does not make much of a difference to ride or handling, regardless of what mode it’s in. G adjustable suspension does not make much of a difference to ride or handling, regardless of what mode it’s in. I have heard exactly the opposite inasmuch as the adj suspension is very important as a safety system that auto adjusts to provide increased vehicle control under certain conditions. Not at all... you are thinking of adjustable anti-roll bars, which the G does not have. You are also confusing the ESP system which does reduce the risk of roll over or over-steer in certain conditions. That's standard on all MBs. Adjustable dampers are optional on the G550 and standard on the G63. The AMG also gets front and rear anti-roll bars that make for a slightly sportier box. Switching the dynamic dampers into firmer settings in either version buys fractionally more cornering ability, but you’re always aware of the G’s towering height and its off-road mission. Nope, no confusion. I read an extensive article on this system and wutz involved. Made me think it’s well, well worth it. I will try to dig the review article up and post it. In my case, no worries, though as I think it comes standard with the G63. Quick Reply: Suspension with Adaptive Damping Adjustment on 2019 G550?